Are you making these 6 online marketing mistakes? In business terms, online marketing is a relatively new discipline. It therefore stands to reason that, in its adoption, some mistakes will be made. This blog lists some of the common online marketing mistakes companies are making and provides tips on how to prevent or remedy them. Traditional marketing and online marketing are very different disciplines. While both attempt to achieve the same objective, their methods and tactics differ drastically. Just because someone has been in marketing for a number of years does not necessarily mean they understand the elements of digital or online marketing. In fact, a traditional mindset can cause havoc in an online environment. How to fix it? Remember that on-line has not completely replaced traditional marketing. Done correctly, the two can complement each other. It may be worth your while to have separate teams for traditional and online. If you are unable to hire properly qualified online staff, you need to get your staff adequately trained and certified. Remember when hiring that SEO is integral to all things marketing and thus a good understanding of SEO is non-negotiable. It’s a given that online marketing is far more cost-effective than traditional marketing, but that does not mean it is ‘cheap’ – nor is it easy. There is a particular skill set and understanding required to get to grips with how people behave on the web, what your target audience is looking for, how to be on your audience’s radar and how to measure and monitor your efforts. Spend your money wisely and you will reap the rewards. How to fix it? 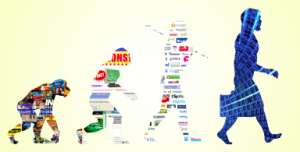 Find out what your company has been spending on traditional marketing in the past. Establish what sort of a budget you have to work with online and prioritise your spend accordingly. Every situation will be unique. Work on a formula that will help you understand how much the acquisition of a lead a) costs your company and b) Is worth to your company. Use all the tools at your disposal to measure your ROI. In upcoming blogs I’ll provide more detail on how you can keep your PPC costs down by optimising your content as well as other strategies for monitoring your online spend. This applies to everything in business – not just marketing. Too many executives fail to appreciate how much planning is required in order to be effective. Any good online campaign requires in-depth keyword research, and understanding of the audience, online competitor research as well as an understanding of what is trending in the marketplace. While access to information is made very easy on the web, it is still time-consuming. How to fix it? ALWAYS build time into your strategy for planning and research and NEVER go into a campaign blind. A myriad tools exist for your research, some of my favourites include: the trusted favourite keyword research tool (Google it because there are a number of different options), Google trends, Moz tools (www.moz.com). Too many businesses write in a robotic, disconnected way because they believe that is correct for business to business communications. You may well be in a business to business environment, but you should be engaging with a person. Please remember that a lot of online communication is person to person and a more individual style of writing is the type of communication that will get you results. How to fix it? Drop the traditional writing styles, forget ego, chuck out the jargon, be sincere and authentic. Whenever you write ask yourself what you are trying to achieve and how you are adding value? The days of putting up a billboard and guessing the number of impressions based on traffic estimates are long gone. There are a heap of online tools that will completely obliterate any form of guessing games. Don’t guess who your online audience is, cheack your analytics and get the facts. How to fix it? The beauty of online lies in it’s measurability. Measure and monitor in order to constantly improve your presence. Most social media platforms come with their own metrics dashboards. Use Google Analytics. Link your site to the Google Search Console. Do your homework. In a world where billions of daily searches each result in millions of possible results, do you honestly believe that you can be original? You could try, but I’m not convinced it would be worth your time. Give up on trying to be original. I’m by no means giving you a license to plagiarise, but stop trying to come up with that one idea that nobody else has thought of. How to fix it? If you have an idea for a campaign or content type that will benefit your audience, run with it. As long as you are adding value, you can’t really go wrong. If you are being transparent and authentic and honestly trying to add value, chances are that you will. Julie https://jubezdigital.com/wp-content/uploads/2016/09/jubez_digital_logo_website-300x262.jpg Julie2015-08-18 06:35:462015-08-18 06:35:46Are you making these 6 online marketing mistakes? Design for SEO or UX?